Indoor class suitable for all ages, skill levels and a variety of mediums. 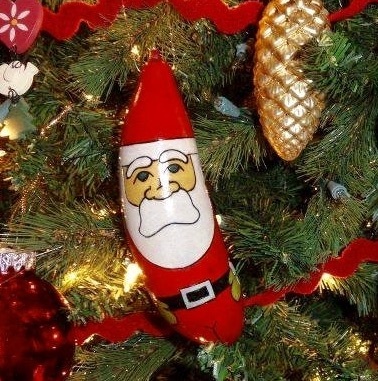 Pick your favorite ornamental gourd and decorate with your choice of materials. Gourd fun for everyone. 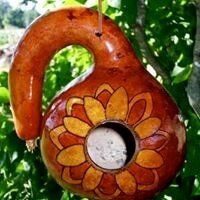 From cleaning to creating, we provide the gourds and all of the tools, tips & tricks to make your own birdhouse. Outdoor class only. Perfect for groups. Prepare to get dirty! Presentation best suited for garden clubs, Master Gardener groups, FFA and 4H clubs, or gourd and garden enthusiasts. Topics cover seed germination, molding/training gourds, when to harvest, how to dry, clean & use gourds, seed saving & more. Pillywiggins Garden added event planning to its resume in 2012 when we were handed the reigns to the Winter Fantasy Art Show, an annual mixed-media art and fine craft juried art show. We created a 2nd event, an autumn art festival, the following year. Our events have been well attended and well received by the public, press and participating artists alike. Our goal is to provide a platform for talented local artists to showcase their original work without direct competition between artists using similar mediums and without any competition from manufactured or mass-produced goods that can devalue an artist's original artwork. All artists are carefully selected to avoid repetition and items of inferior quality. Each booth offers shoppers something new and places the spotlight where it belongs, on the artist.